Cards Against Humanity changed game nights forever. Simple card games became a whole lot filthier and friendships changed forever. Now we'll be able to introduce one of our favourite TV shows to the game. Could we BE anymore excited? 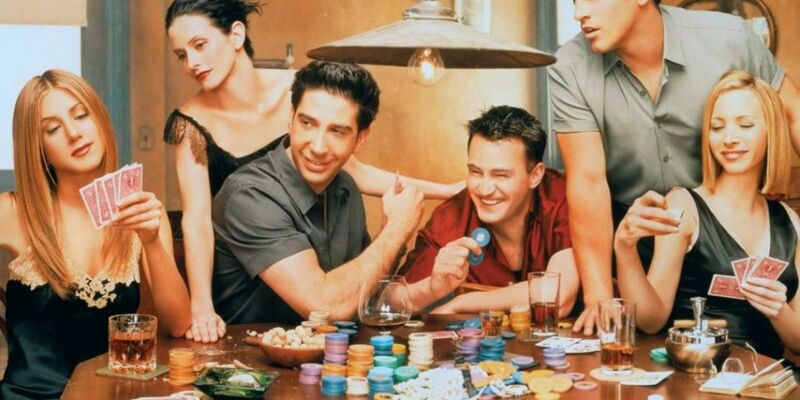 The One With All The Cards is an unofficial Friends-themed game that takes inspiration from Cards Against Humanity. Etsy shop Daisy Store Gifts is selling the fan-made deck, which includes 180 white cards and 99 grey cards. You can play the pack on it's own but the item description says it can also be played with the original game. "While there are sufficient cards to be played as a stand alone game, they are sized identically and can integrate hilariously into standard Cards Against Humanity decks." We hope there's a We Were On A Break card. If Friends isn't your thing, Daisy Store Gifts also have Cards Against Iron Throne, a Game Of Thrones themed deck, and Cards Against Potter.